Alfred Books - WELCOME TO SG DRUM ACADEMY - THE ACADEMY FOR DRUM LESSONS, MASTERCLASSES, CLINICS AND BOOKS. Alfred Music is the world’s largest educational music publisher. Alfred Music produces educational, reference, pop, and performance materials for teachers, students, professionals, and hobbyists spanning every musical instrument, style, and difficulty level. Alfred Music’s home office is located in Los Angeles, with domestic offices in Miami and New York as well as offices around the world including Germany, Singapore, and the United Kingdom. Since 1922, Alfred Music has been dedicated to helping people learn, teach, and play music. Alfred Music currently has over 150,000 active titles. Alfred Music represents a wide range of well-known publications—from methods like Alfred’s Basic Guitar, Alfred’s Basic Piano Library, Premier Piano Course, Sound Innovations, and Suzuki, to artists like Bruce Springsteen, Bruno Mars, Cole Porter, fun., George and Ira Gershwin, John Lennon, Katy Perry, Led Zeppelin, The Rolling Stones, and The Who, to brands like Harry Potter, Lord of the Rings, Star Wars, The Wizard of Oz, Rolling Stone magazine, and Billboard. Alfred Music owns a wide range of imprints including Belwin, Highland/Etling, Kalmus, and Warner/Chappell Music, Inc. In addition to its own titles, Alfred Music distributes products from over 100 companies, including Daisy Rock Girl Guitars, Dover Publications, Drum Channel, Faber Music, MakeMusic, Inc., Penguin, and WEA. SGDA is proud to be the first Drum Academy in Singapore to be an Alfred Dealer. If you are a drummer looking to expand your knowledge of musical styles, Survival Guide For The Modern Drummer is the book for you. From pop to country, metal to jazz and Latin to Motown, Jim Riley (drummer and musical director for Rascal Flatts) has crammed his considerable stage and studio experience into this amazing resource. The book includes 124 play-along tracks which were meticulously recorded with just the right musicians for each recording creating an authentic and inspiring library. An audio performance of each of the 318 grooves is also included making learning these grooves even easier. From beginner to advanced, this book truly has something for everyone. If you dream of taking your drumming to the next level, Survival Guide for the Modern Drummer is the book that can help you make that a reality. It's Your Move is about achieving maximum potential as a player. The book gathers questions that have been asked of Dom Famularo during his private teaching career for 30 years, which includes many master classes, clinics, large drum expos, and 40 years of professional playing. The included exercises are vignettes to spark fun and creativity. This book is for your hands and your feet, on the drum pad and the drumset. The title of the book means it's up to you and your desire be a better player. Dom offers the seeds of ideas, now the student must react. It is the student's choice. This book addresses the common problem of proportionally unequal abilities between a drummer’s dominant and weaker muscle sets in drumming technique. The strategic exercises are designed to develop the under-used muscles to cultivate a more balanced ability for controlled movement and a fluid and consistent sound. Organized for gradual strengthening through daily practice, the exercises can be used for both hands and feet. Double Bass Drum Freedom is the final word on double bass drumming. Much-lauded drummer Virgil Donati lays out everything he knows about playing the bass drum, shedding light on how to integrate the pedals with the drum kit. The included audio CD demonstrates examples in the book. 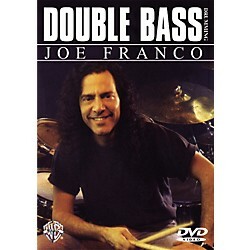 Joe Franco has played with artists such as Twisted Sister, Leslie West, Vinnie Moore, Taylor Dayne, and Jack Bruce. Here he shares his incredible technique, featuring the first practical approach to playing double bass drums. Joe demonstrates fills, rolls, beats, and exercises to help develop independence and control. Three irresistible drum experts---a clever, classical dog, one cool cat, and a friendly alligator---keep students' attention focused by pointing out what's important on each page and help make learning music fun! This full-color book is specifically designed with attention-grabbing illustrations for use with kids at the elementary level. 48 pages. 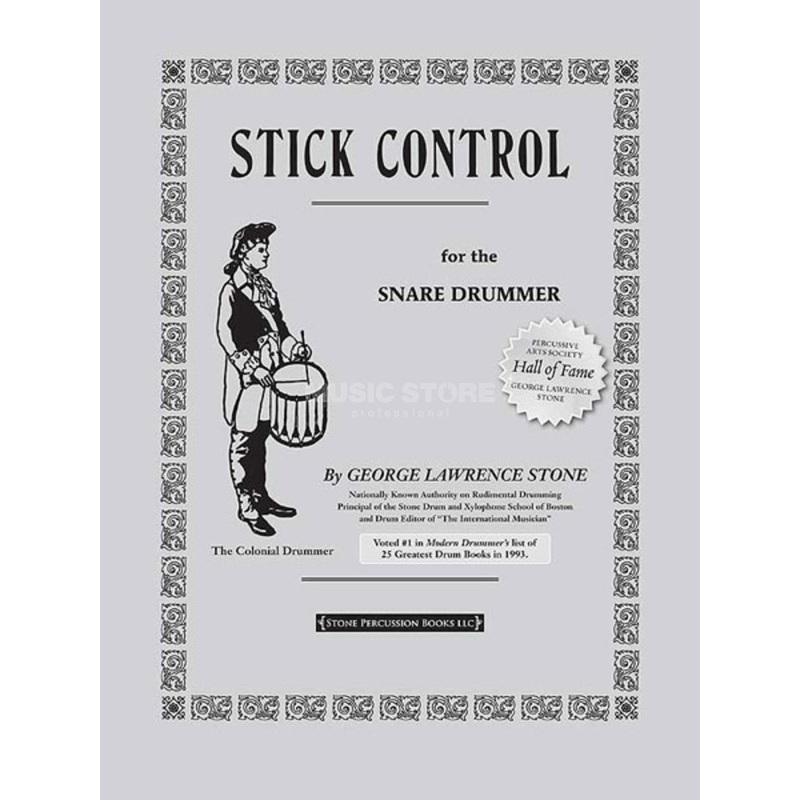 In 1993, Modern Drummer magazine named it first in the top 25 drumming books of all-time. In the words of the author, this is the ideal book for improving "control, speed, flexibility, touch, rhythm, lightness, delicacy, power, endurance, preciseness of execution, and muscular coordination," with extra attention given to the development of the weak hand. ​This indispensable book for drummers of all types includes hundreds of basic to advanced rhythms and moves through categories of single-beat combinations, triplets, short roll combinations, flam beats, flam triplets and dotted notes, and short roll progressions. This innovative method is a practical approach to playing the drumset. Students start their first lesson by actually playing a beat! The book is divided into two sections: Rock and Jazz. Students will learn how the hi-hat, ride cymbal, snare, and bass drum are used in each style. A play-along CD corresponding to the drum charts is included. Renowned educators Dom Famularo and Joe Bergamini have teamed up to bring you a complete method for improving the ability of your feet on the drumset. 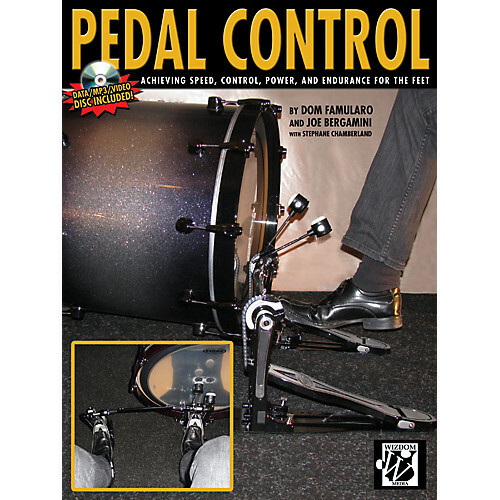 Unlike many other books, Pedal Control contains extensive information about the actual pedal strokes and techniques used by some of the world's top drummers, in addition to dozens of exercises that will help you use these techniques. This book contains dozens of photographs that show the four pedal techniques discussed and the motions for various exercises. Also included is an MP3/data disc that contains over 200 tracks demonstrating nearly every example in the book, and high-quality QuickTime videos showing all the pedal stroke techniques!